I requested a quote by e-mail to replace a leaky saddle valve with a better quality valve. The quote was quite thorough, providing a description of the work and a link providing me with a photo of the valve they would use as a replacement. I have to say it is one of the better quotes I received from any plumber. I booked the appointment to get the work completed and Darlene had asked me what time I would like so I booked it for 8:00 am. it was approximately two weeks ahead of time so she said availability was wide open. Unfortunately, nobody showed up at 8:00 on the scheduled date and no phone call. I decided to send an e-mail around lunch time and Vanessa called me to advise that I was booked but there was no scheduled time, contrary to what I was told at the time of making the appointment. It was now around 2:00 pm so most of the day was wasted but she did promise to have the plumber call me which he did, eventually arriving around 3:00 pm. The job was done quickly but I think that the plumber should have carried a bucket to catch water as there was a fair amount of spilled water. The job site was cleaned nonetheless so not a huge issue. The job appeared to be done in an efficient and workmanlike manner at the agreed price. My only real complaint was that they secured an appointment time and failed to honour it. I was looking for a plumber to do a specific job, namely replace an existing saddle valve on a hot water line supplying a humidifier. I solicited quotes by e-mail and obtained a fair price with a fairly prompt response so "hired" this company. Given that I provided a full explanation of the job to be done (nothing complicated) and was provided with a quoted price, it was just a matter of getting the job done. On the day of the appointment, I received a call while I was on another call and the message was that they thought I had forgotten about the appointment so I should re-book. This made no sense so when I finished my other important call, I returned the message and was told that the plumber was on his way but I needed to send a photo immediately so he could determine what supplies were needed as he would have to purchase them. I thought this was rather odd to be asked to provide a photo at the last minute for a straightforward job. So what does lawn service have in common with satellite radio service? Basically, the service continues until you cancel. The service is essentially "automatic" or a "pain in the posterior" depending on your viewpoint. The lawn service will run you about $200 for 4 or 5 treatments which includes fertilizer and spot weed killer. Many of the smaller lawn service companies have been absorbed by larger ones so you are left with a "Walmart" service. What other reviewers have mentioned is true, namely that they constantly try to sell you add-on services. Your lawn is not doing that well. How about an alfalfa treatment? You may as well have over-seeding done too. The lawn is looking a little brown. You had better get the insect treatment. We should fertilize your trees also. Don't forget about the aeration. Every additional service will hit you with close to another $100 each. I'm pretty sure they hire summer students put into the field after a short training period. The information on the billing left in your mailbox is routine. "Sorry we missed you." Really? I was at home while you were doing your application in my yard and you didn't knock or ring the bell. If you are looking to avoid the labour of applying different types of fertilizer over the course of the season, you can use this service as a reasonable option. Don't expect any special treatment for your lawn or professional advice. It's all routine with likely almost every customer getting the same "advice". Look to a smaller firm with seasoned professionals. You may pay more but, as always, you get what you pay for. Oh and if you think that you are done with them after the fall, no, they will try and sell you their ice melt. Recently there was a segment on CBC's marketplace regarding fabricated reviews to generate business. This immediately comes to mind when I was looking at the reviews here prior to engaging this company for my roof repair because it is hard to believe that so many positive reviews could result in a bad experience for me. I am sure that Homestars takes all appropriate steps to ensure the legitimacy of reviews and this is why I thought I had a winner when I selected Nomad for the reshingling of my roof. I contracted with the company in the fall of 2013 for a Spring 2014 job. Shingles were delivered on April 12, 2014. The garbage bin was delivered on April 14, 2014 and completely blocked any vehicle access. I didn't anticipate this to be a problem because the shingling being done in my neighbourhood typically was only a two day affair at most. This bin was picked up April 24th-10 days later. Most roofers that I saw in my area started a job and finished it within a couple of days. These roofers ( a two man crew) did a small section per day on the days that they were there so it was a short day for them. The area over my double attached garage was shingled on April 15th. The roofers did not show on the 16th or the 17th. The roofers appeared on Good Friday, April 18th after a heavy, wet snowfall so they are trying to do shingling after this snowfall. I had to send them home. It was just ridiculous. April 22nd was the last official day of the job and there was only a small section on the back that had not been completed but it hadn't been done because they were a bundle short. This is actually what the roofer told me because I happened to be there when he came to finish the job. I noticed that he wasn't putting any felt underlay on this section and he told me that he ran out. So what he was telling me essentially is that if you run out of materials, just finish the job with whatever materials you have left. Luckily, I was there at the time and this section was re-done at a later date. I am not a professional roofer myself but many deficiencies were obvious to me. There was some soffit damage, uncaulked/unsealed nails, missing drip edge (I suppose they ran out of this as well). Another thing I had noticed was that my eavestroughs were not cleaned. The roofer attended to this promptly but service was so "efficient" that he decided to do the cleaning when it was pouring rain. You should have seen the caked mud on my siding after this. To sum up, there was a complete lack of pride of workmanship for this job. I had noticed also that there were cases of brand new staples thrown in the garbage bin and when this was brought to the foreman's attention, he just made a comment that the roofer wasn't paying for it so just threw away the excess not required at the time. The extension ladder used for the job was also seen in the garbage bin but apparently, this was just a convenient way for them to transport their equipment. The "final" inspection was completed on May 1st and I am fairly enraged by this point because there were till deficiencies noted and these were to be corrected the following week and another re-inspection was to be made to ensure completeness. Following this, I know that there was at least one worker at my house because on May 6th, i noticed a tool left on the edge of my house visible from the street. This tool remained on the roof for a couple of weeks. The inspection and re-inspection are performed by one of the owners of the company. Despite a promised re-inspection the following week, it was done on...get ready...December 12, 2014. So you can see from the time this job was contracted to the time it was completed was approximately one year. I'll mention that despite the problems, the people are very nice and easy to work with despite the problems. It was not what I expected of the job and not representative of other jobs being done in my neighbourhood by other roofers. 4 of 4 people found this review helpful. Thank you for your review. As with all of our customers, we appreciate their honesty when posting onto the HomeStars website. We apologize for your experience with Nomad Roofing and are aware of the problems that occurred during this project. We took what we learned from this job and have since implemented changes to improve our site management. Although the quality of your roof was never jeopardized, we regret that you did not receive the level of service we pride ourselves in. This is why we never collected payment until we were satisfied that the roof met our high standards and passed the post inspection. We’re pleased to hear that throughout this process our staff was easy to work with as communication with our customers, especially when problems arise, is an important focus for us. We take your feedback seriously and will use it as an opportunity to learn and grow. I was having a problem with my fridge and contacted Accurate Appliance. My Maytag fridge was out-of-warranty and I was concerned about possibly a large bill for repairs. The repairman quickly diagnosed the problem as a faulty fan motor. The fan motor was replaced and the total bill for parts and labour was under $100.00. I consider this to be a very reasonable repair bill for a house call. The problem was fixed to my satisfaction. I would recommend this company. I've used this plumbing company twice for sump pump service in my house. I would not hesitate to use Trilogy for any type of plumbing service. They used to operate under the name "Eclipse". The service is honest and prices are fair. Jay is quite friendly and knowledgeable, always ready to explain clearly what he is doing. Appointment times are kept and he will let you know if he is running late. Update on October 1, 2014: So I called this company again approximately two weeks ago to book a water heater installation. There was an agreement made on brand and price. A call was received early in the morning on the agreed installation date and the plumber confirmed that he would arrive between 1:00 and 3:00 to do the installation. He then called me at 12:45 stating that he could not do the installation because all the water heaters had been damaged in a labour dispute at the factory by the workers. Sensing that this story was not well put together, I contacted the water heater company and it was confirmed that the story was a fabricated one. Valley Furnace is not honest and for some reason did not want to do the job so they fabricated a story. This is a dishonest business and my rating has to be adjusted to zero as I reserved a whole day for this installation. Gerard is the owner of the company. I didn't call him for duct cleaning but another service that he provides to customers, humidifier installation. He also does hot water tank installation. I had some hardwood flooring installed so decided I should install a humidifier. Gerard answers the phone and is a very helpful gent from Newfoundland. I had a few questions so called a few times before hiring him. The humidifier was supplied and installed for under $400. 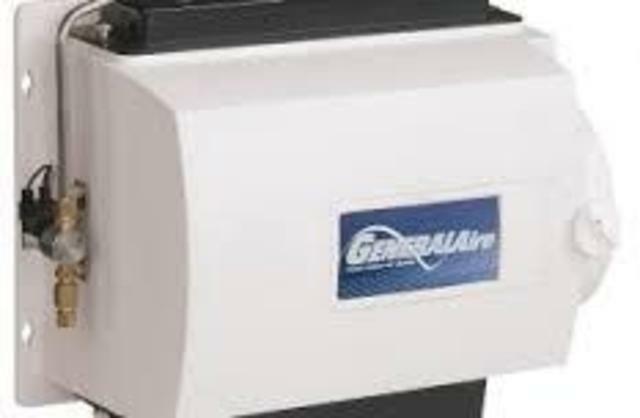 Gerard provided a different model humidifier from the one he was advertising, at my request because I had researched them and decided on a different one. I thought it would be a few bucks more but he charged me the same price. He was also very agreeable to doing a hot water connection with copper pipe instead of a cold water connection with plastic piping. Again, there was no additional charge even though other contractors wanted considerably more for doing a copper connection. Gerard showed up with his helper Joe and you could tell they knew exactly what they were doing and very friendly as well. thank you for the positive review on the humidifier installation! customer service is very important to us.unfortunately we were not able to meet your requirements for a new hot water tank due to labour issues at the manufacturers facilities but hope the local competitor we referred you to which stocks and handles warranty issues for those tanks was able to assist you. I was quite impressed with the company. They arrived at the promised time. When they bring their hoses in, they have special plastic guards for the hoses to prevent damage. They also have booties for their feet. The two gentlemen were very professional and provided an explanation of what they were doing. The equipment appears to be all in good working order and they have a nice professional truck system. What I liked best about this company is a flat rate charge for their service including all all vents (based on a maximum square footage) unlike other companies that include only 10 or 12 vents and it's extra for all others and then you have to count them and verify the number of vents. 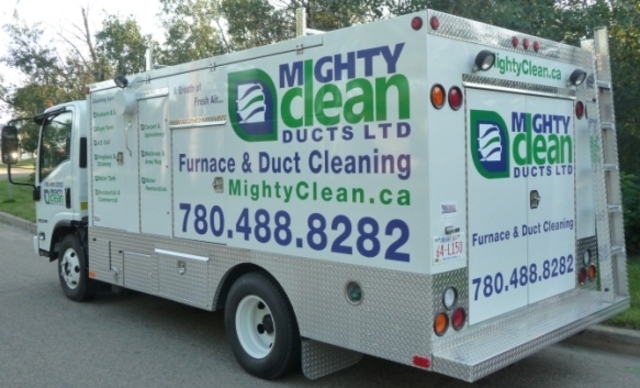 Furnace cleaning and hot water tank cleaning are also included similar to other services. One of the things I didn't like was that they do not include cleaning of the dryer vent. This is an extra charge. There are also no additional charges/fee like waste disposal/environmental that some companies charge. For some reason that I didn't quite understand, they didn't remove all vent covers in the basement and the explanation made no sense. 1 of 1 people found this review helpful. This location used to operate under Carpet Craft and Sears Flooring but is no longer part of the Sears franchise but ownership has remained the same. I went to get a quote for replacement of kitchen (vinyl) flooring with tile and replacement of living room carpeting with hardwood, including two flights of stairs to be done with hardwood. The salesman was very professional and easy to deal with, but he is no longer at the store. The kitchen floor was done in approximately two days. The tradesman was one of those, however, who likes to get in and get out, more interested in completing the job than in the quality of work. This was my opinion and verified by one of the Carpet Craft (Sears Flooring) staff. The only real incident with the kitchen flooring was the butchering of my baseboards. I believe that there was miscommunication between the salesman and the installation crew in that the installer believed that the baseboards were not going to be re-used so he took no care in the removal. I can understand an honest mistake but Carpet Craft took no responsibility for the error relying on the contract provision that they were not responsible for the baseboards. However, that provision is there in the event of accidental breakage die to brittleness from age, not negligence of the tradesman. The hardwood was delivered a few days in advance of the installation in order to acclimatize the hardwood. Installation day rolls around and here now is a MAJOR problem. It seems the estimator did not bother to check what was underneath the carpet and allowed me to select a regular style hardwood (nail installation). I learned later that the fact that my living room is partially below grade should have tipped off the estimator that I would need engineered hardwood for a glue-down installation. The company missed this despite the fact that their entire business is flooring. A different hardwood needs to be ordered and the stuff that has been sitting in my house needs to go back. Of course, keep in mind that my living room has been cleared of furniture and the carpet stripped so now I have no "living" room for a considerable time due to Carpet Craft's error. The salesman advises that he has a replacement product that he can order and not to worry, it is engineered hardwood and can be installed when it finally arrives. I asked the salesman to verify that the replacement hardwood was Canadian and he assured me that it was Canadian. Sure enough, upon delivery, in rolls the U.S. hardwood. The salesman is then quick to blame someone else about this error, saying he was told it was Canadian. We then go through the same process of the hardwood being delivered a few days prior to installation to acclimatize. Installation day arrives and the installers determine that installation still cannot proceed because the floor is not level and has to be levelled first so that the hardwood can be placed straight. Once the job was finished, I was left without mouldings between various rooms. I was given a lot of inaccurate information, being told that the mouldings were ordered and ready for pick-up by the installer but the installer verified that he had no instructions to pick up mouldings. The last straw was when I was given a delivery date and appointment time but nobody bothered to call or show up for the scheduled appointment. Given the delays with the flooring, I have no idea why the mouldings were't sitting, just waiting to be installed. These are the major problems I encountered but the worst part was Carpet Craft's unwillingness to resolve any issues despite numerous phone calls. Once they were paid in full, that was it. I was only able to get some small element of satisfaction after I placed a chargeback for part of the payment. Carpet Craft then has the audacity to send a collection company after me for a chargeback, instead of trying to resolve some minor issues and such is the way they treat customers. The work that should have been completed within a week took six months and was a very disappointing experience and stressful time.